The Bad Boy Running Podcast | Listen Free on Castbox. Richard Bowles is a British ultrarunner who has set a number of impressive world record running feats. Plus David and Allie talk about their recent trip to Bulgaria. Enjoy! If you enjoyed this episode please SUBSCRIBE to get every episode delivered to you before everyone else. Join the conversation! If you want to request a guest or chat about this episode with like-minded drunk runners then head over to the Bad Boy Running Podcast Facebook group, here: https://www.facebook.com/groups/1609232602668375/ To join, just answer three questions either correctly or hilariously and we'll realise you're not a spam robot and add you! 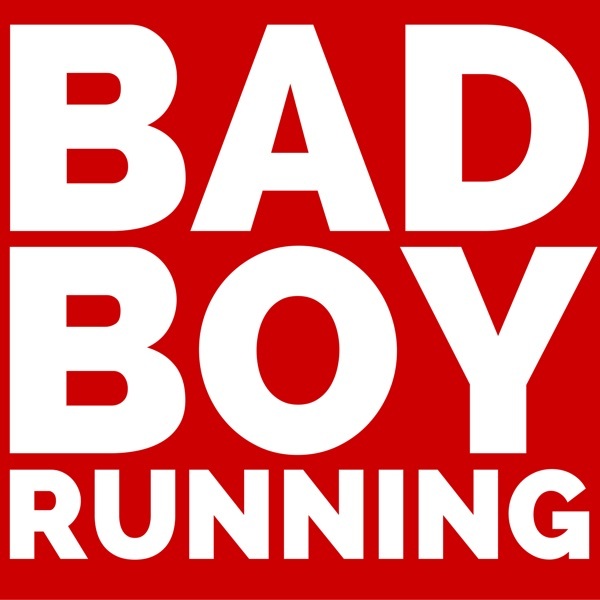 Here's how to get involved: Follow us on Instagram: www.instagram.com/badboyrunningpodcast Follow us on Twitter: https://twitter.com/badboyrunning1 You can also follow Jody at @Ultrarunnerjody and David at @DavidHellard Email us at letters@badboyrunning.com Buy merch at the Merch Store at www.badboyrunning.com Lastly, don't forget to subscribe! FYB! Sussex Trail Events has built a bit of a reputation for putting on races that well... are a bit unusual. As well as it’s roster of trail marathons (read muddy riverside marathons) and the Downslink Ultra, the company has hosted a number of one-off races most would be mad to complete including the Car Park Marathon (the value is in the name but this was originally invented by BBR, btw), The Pier Marathon - out and back up Southend's Mile long pier and a marathon which was laps around the Amex Stadium. David and Jody talk to RD Jason McCardle about what it takes to put on races as well as some of the inside goings-on between RDs. Enjoy! If you enjoyed this episode please SUBSCRIBE to get every episode delivered to you before everyone else. Join the conversation! If you want to request a guest or chat about this episode with like-minded drunk runners then head over to the Bad Boy Running Podcast Facebook group, here: https://www.facebook.com/groups/1609232602668375/ To join, just answer three questions either correctly or hilariously and we'll realise you're not a spam robot and add you! Here's how to get involved: Follow us on Instagram: www.instagram.com/badboyrunningpodcast Follow us on Twitter: https://twitter.com/badboyrunning1 You can also follow Jody at @Ultrarunnerjody and David at @DavidHellard Email us at letters@badboyrunning.com Buy merch at the Merch Store at www.badboyrunning.com Lastly, don't forget to subscribe! FYB! Carole Armitage is a runner and chocolate pioneering looking to prove the link between performance and chocolate. And that's exactly the kind of thinking we like. In this episode, David talks the time to speak with Carole about chocolate and running and the compounds within chocolate that may help a runner's performance. There's also some classic Bants early on. [LAST CHANCE] COMPETITION TIME! WIN A TRAIL RUNNING HOLIDAY FOR TWO! There are only a few days left of the competition to win a running holiday in Andalucia for two. Seriously. So hurry while there's still a chance. Go to the BBR Facebook page for more details or join the FB group. Or head to www.ultratrailspain.com/bbr Enjoy! If you enjoyed this episode please SUBSCRIBE to get every episode delivered to you before everyone else. Join the conversation! If you want to request a guest or chat about this episode with like-minded drunk runners then head over to the Bad Boy Running Podcast Facebook group, here: https://www.facebook.com/groups/1609232602668375/ To join, just answer three questions either correctly or hilariously and we'll realise you're not a spam robot and add you! Here's how to get involved: Follow us on Instagram: www.instagram.com/badboyrunningpodcast Follow us on Twitter: https://twitter.com/badboyrunning1 You can also follow Jody at @Ultrarunnerjody and David at @DavidHellard Email us at letters@badboyrunning.com Buy merch at the Merch Store at www.badboyrunning.com Lastly, don't forget to subscribe! FYB! This week is a little bit special as David brings on his running club's director from Heathside, Jerry Odlin. Jerry has been there and done it in terms of running clubs and lifts the lid on what goes on behind the scenes of one of London's popular running clubs, how the make-up of running clubs has changed, the challenges faced by clubs and generally how running has changed. It's a fascinating view from Jerry and well worth a listen as BBR is on the verge of launching its own running club (if England Athletics don't boot BBR out before we've begun...) Plus, there's the usual chat beforehand. Mainly inane, rarely valuable. [LAST CHANCE] COMPETITION TIME! WIN A TRAIL RUNNING HOLIDAY FOR TWO! There are only a few days left of the competition to win a running holiday in Andalucia for two. Seriously. So hurry while there's still a chance. Go to the BBR Facebook page for more details or join the FB group. Or head to www.ultratrailspain.com/bbr Enjoy! If you enjoyed this episode please SUBSCRIBE to get every episode delivered to you before everyone else. Join the conversation! If you want to request a guest or chat about this episode with like-minded drunk runners then head over to the Bad Boy Running Podcast Facebook group, here: https://www.facebook.com/groups/1609232602668375/ To join, just answer three questions either correctly or hilariously and we'll realise you're not a spam robot and add you! Here's how to get involved: Follow us on Instagram: www.instagram.com/badboyrunningpodcast Follow us on Twitter: https://twitter.com/badboyrunning1 You can also follow Jody at @Ultrarunnerjody and David at @DavidHellard Email us at letters@badboyrunning.com Buy merch at the Merch Store at www.badboyrunning.com Lastly, don't forget to subscribe! FYB! What Andrew Jones doesn't know about the human body and running isn't worth knowing. No other person knows the capability and capacity of Paula Radcliffe in her prime. Andy supervised the measurement and monitoring of Radcliffe's running efficiency and aerobic capacity for more than a decade and knows in detail what makes the difference. Andy has also been at the forefront of British sport for decades having consulted UK Athletics, various sporting bodies and major sporting brands such as Gatorade and Nike. And (almost most) famously, Andy is the man behind the beetroot running thing. (His twitter handle is even @AndyBeetroot). Now he shares his knowledge with the Do-Badders and BOY is this a great episode. (We admit, it wasn't long enough - we're definitely getting him back on.) Enjoy! COMPETITION TIME! WIN A TRAIL RUNNING HOLIDAY FOR TWO! Seriously, we're not kidding. Listen out in this episode right from the start for the instructions to win a holiday for two trail running in Spain. Imagine that? Running when it's not tipping it down. Go to the BBR Facebook page for more details or join the FB group. Or head to www.ultratrailspain.com/bbr Enjoy! If you enjoyed this episode please SUBSCRIBE to get every episode delivered to you before everyone else. Join the conversation! If you want to request a guest or chat about this episode with like-minded drunk runners then head over to the Bad Boy Running Podcast Facebook group, here: https://www.facebook.com/groups/1609232602668375/ To join, just answer three questions either correctly or hilariously and we'll realise you're not a spam robot and add you! Here's how to get involved: Follow us on Instagram: www.instagram.com/badboyrunningpodcast Follow us on Twitter: https://twitter.com/badboyrunning1 You can also follow Jody at @Ultrarunnerjody and David at @DavidHellard Email us at letters@badboyrunning.com Buy merch at the Merch Store at www.badboyrunning.com Lastly, don't forget to subscribe! FYB! If there's a big name ultra, James Poole has most likely done it. In this episode, Jody and David speak to James about his many races and, specifically, the epic Hong Kong Four Trails Ultra which kind of looks insane (the race had been run by the time of publication... but we won't tell you what happened). James is also founder of the Advent Running running community and shares his experience running this. He also shares some crazy stories from his many adventures including The Ultra Gobi and a brilliant story about hallucinations. Oh AND... COMPETITION TIME! WIN A TRAIL RUNNING HOLIDAY FOR TWO! Seriously, we're not kidding. Listen out in this episode right from the start for the instructions to win a holiday for two trail running in Spain. Imagine that? Running when it's not tipping it down. Go to the BBR Facebook page for more details or join the FB group. Or head to www.ultratrailspain.com/bbr Enjoy! If you enjoyed this episode please SUBSCRIBE to get every episode delivered to you before everyone else. Join the conversation! If you want to request a guest or chat about this episode with like-minded drunk runners then head over to the Bad Boy Running Podcast Facebook group, here: https://www.facebook.com/groups/1609232602668375/ To join, just answer three questions either correctly or hilariously and we'll realise you're not a spam robot and add you! Here's how to get involved: Follow us on Instagram: www.instagram.com/badboyrunningpodcast Follow us on Twitter: https://twitter.com/badboyrunning1 You can also follow Jody at @Ultrarunnerjody and David at @DavidHellard Email us at letters@badboyrunning.com Buy merch at the Merch Store at www.badboyrunning.com Lastly, don't forget to subscribe! FYB! Rob Pope has run across America more times than anyone else, running at total of 15,600 miles (at the time of writing). He's followed in the footsteps of Forrest Gump and in so many ways. No-one has run as far as Rob in a single year as he raises huge amounts for WWF and Peace Direct. Allie and David pick his brains about his incredible adventures. Enjoy! If you enjoyed this episode please SUBSCRIBE to get every episode delivered to you before everyone else. Join the conversation! If you want to request a guest or chat about this episode with like-minded drunk runners then head over to the Bad Boy Running Podcast Facebook group, here: https://www.facebook.com/groups/1609232602668375/ To join, just answer three questions either correctly or hilariously and we'll realise you're not a spam robot and add you! Here's how to get involved: Follow us on Instagram: www.instagram.com/badboyrunningpodcast Follow us on Twitter: https://twitter.com/badboyrunning1 You can also follow Jody at @Ultrarunnerjody and David at @DavidHellard Email us at letters@badboyrunning.com Buy merch at the Merch Store at www.badboyrunning.com Lastly, don't forget to subscribe! FYB! There aren't many runners who have the pedigree in long distance racing as Nicky Spinks. Farmer by day, Nicky is an outstanding fell runner and has completed doubles of the UK's most difficult rounds, including double Bob Graham (England), double Paddy Buckley Round (Wales) and the double Ramsey Round (Scotland). And that's not even mentioning the slew of races including UTMB, Dragon's Back, Grand Raid Pyrenees and Grand Race Reunion. In short, she's an ultrarunning badass... and she's speaking with BBR. In this episode also discover what the BBR crew felt about The National Running Show in Birmingham, while David reveals the full story behind that Instagram post #everylidlhelps Enjoy! If you enjoyed this episode please SUBSCRIBE to get every episode delivered to you before everyone else. Join the conversation! If you want to request a guest or chat about this episode with like-minded drunk runners then head over to the Bad Boy Running Podcast Facebook group, here: https://www.facebook.com/groups/1609232602668375/ To join, just answer three questions either correctly or hilariously and we'll realise you're not a spam robot and add you! Here's how to get involved: Follow us on Instagram: www.instagram.com/badboyrunningpodcast Follow us on Twitter: https://twitter.com/badboyrunning1 You can also follow Jody at @Ultrarunnerjody and David at @DavidHellard Email us at letters@badboyrunning.com Buy merch at the Merch Store at www.badboyrunning.com Lastly, don't forget to subscribe! FYB! Jody speaks to Allie Bailey about her experience as a test pilot on the latest Rat Race Bucket List events in Namibia and Panama. There's lots of sand, lots of insects and lots of raw truth. Enjoy! If you enjoyed this episode please SUBSCRIBE to get every episode delivered to you before everyone else. Join the conversation! If you want to request a guest or chat about this episode with like-minded drunk runners then head over to the Bad Boy Running Podcast Facebook group, here: https://www.facebook.com/groups/1609232602668375/ To join, just answer three questions either correctly or hilariously and we'll realise you're not a spam robot and add you! Here's how to get involved: Follow us on Instagram: www.instagram.com/badboyrunningpodcast Follow us on Twitter: https://twitter.com/badboyrunning1 You can also follow Jody at @Ultrarunnerjody and David at @DavidHellard Email us at letters@badboyrunning.com Buy merch at the Merch Store at www.badboyrunning.com Lastly, don't forget to subscribe! FYB! Here's Part Two of the BBR interview with Laz Lake. If you've not listened to the first part of the interview, we'd suggest going back and doing so before listening to this. In this episode you'll discover: How some Barkley competitors have tried to cheat in previous editions Exactly what happens when you attempt to go through the notoriously opaque entry process The future of Barkley and his plans for the race when he retires from being a race director His own surprising take on running with Rob Young on his controversial world record attempt running across America The BIG secret about the No.1 vest that had long bamboozled Barkley runners His real views on when we'll see a female winner at Barkley and who he really wants to enter the race, as he believes she has the best chance Laz’s secret nutritional weapon for surviving his transcontinental trek across the US Enjoy! If you enjoyed this episode please SUBSCRIBE to get every episode delivered to you before everyone else. Join the conversation! If you want to request a guest or chat about this episode with like-minded drunk runners then head over to the Bad Boy Running Podcast Facebook group, here: https://www.facebook.com/groups/1609232602668375/ To join, just answer three questions either correctly or hilariously and we'll realise you're not a spam robot and add you! Here's how to get involved: Follow us on Instagram: www.instagram.com/badboyrunningpodcast Follow us on Twitter: https://twitter.com/badboyrunning1 You can also follow Jody at @Ultrarunnerjody and David at @DavidHellard Email us at letters@badboyrunning.com Buy merch at the Merch Store at www.badboyrunning.com Lastly, don't forget to subscribe! FYB! Awesome podcast. Very funny. Always look forward to listening to new episodes.